Wake Forest is part of the Research Triangle Region located in central North Carolina and minutes from Raleigh, the state capital. Home to over 45,000 residents, and a growing business base, Wake Forest stands as a vibrant community in one of the nation’s fastest growing regions. Wake Forest, North Carolina boasts above average demographics that reflect regional trends in population growth, education and workforce talent, opportunity, and quality of life. Discover more Wake Forest demographics in our Community Profile. Within minutes of Wake Forest is an abundance of diverse transportation that can give your business outstanding access to the region, state, nation and globe. Raleigh-Durham International Airport (RDU) is 22 miles from downtown Wake Forest and home to 9 major airlines that fly 66 nonstop destinations on 400+ daily flights. Learn more about Transportation. The highly educated and experienced workforce in Wake Forest is a primary factor in the big city success of our thriving town. Our world class universities and community colleges offers unprecedented training for countless highly specialized skills. Learn more about Workforce and Training. 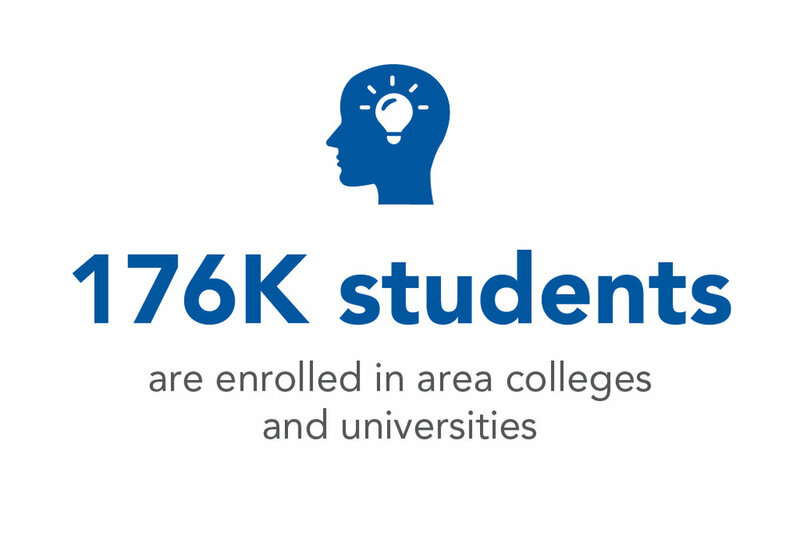 As part of the Research Triangle Region, Wake Forest residents and businesses have easy access to three Tier One research universities, Duke University, University of North Carolina at Chapel Hill and North Carolina State University, eight four-year colleges and universities and several high-performing community college campuses. Learn more about Education. The Research Triangle Region is regularly cited as one of the best places to do business in the nation. NC has a corporate income tax rate of 3%, the lowest in the Southeast. On top of the lowest tax rates in the Southeast, a variety of incentives are available at the local and state levels for companies looking to be successful here. Learn more about North Carolina and Wake Forest Taxes and Incentives. Out of 552 peers, Wake Forest is the 9th fastest growing municipality. While rich in history and Southern charm, Wake Forest is dynamic and forward thinking. As a result, commercial and residential growth continue to climb rapidly as businesses and people are drawn to the community. Learn more about Wake Forest Development.